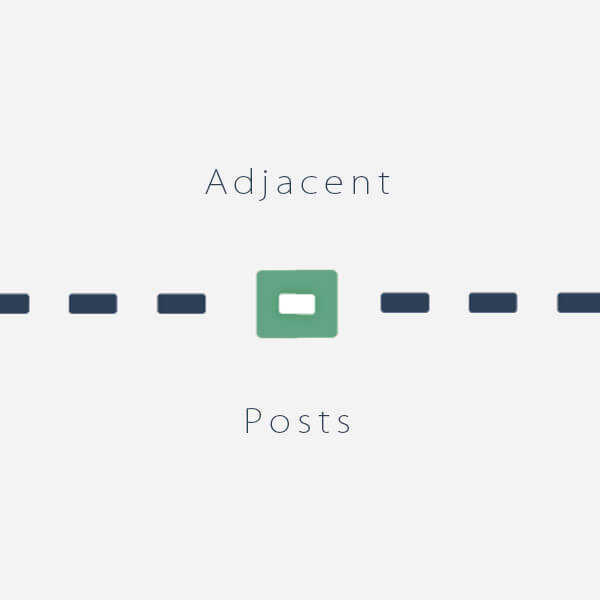 There are functions in WordPress that receive one of the adjacent (neighboring) post get_previous_post() and get_next_post(). But they can only get one post. And what to do when we need to get several posts that are located next to the current: before and after it. The problem can be solved with two queries using WP_Query, but let's do it with one query! * Gets adjacent posts (by date). *     @type int         $limit        By how many neighboring records you need to get. *     @type boll        $in_same_term Get posts only from the same terms in which the current post is. *     @type string      $taxonomy     Tax name. When $in_same_term = true, WP need to know which tax to work with. *     @type int/WP_Post $post         Post adjacent posts of which to get. Default: current post. *     @type bool        $cache_result Is it need to cache the result to object cache? * @return array Array like: array( 'prev'=>array(posts), 'next'=>array(posts) ) or array() if the records could not be retrieved or there is an error in the request. ORDER by post_date ". ( $args->order === 'DESC' ? 'DESC' : 'ASC' )."